In this week’s digital news roundup we’re talking about Zuckerberg’s latest inquisition, the new Airbnb Travel Stories, Google’s potential legal woes, and the arrival of GDPR (AT LAST!). Enjoy! This week saw Mark Zuckerberg face another panel of heated questions, this time at the European Parliament in Brussels. 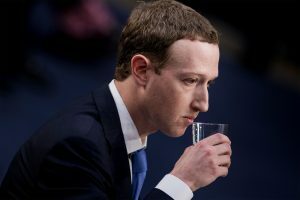 The questioning continued to build on the scrutiny Facebook battled with following the Cambridge Analytica scandal, with the Brussels-based panel grilling Zuckerberg on some key areas including shadow profiles, the platform’s investment in the EU, and how he intends on keeping people safe online. Find out more on the key takeaways from the European Parliament hearing over on The Drum. Airbnb is the latest company to jump on board with a “stories”-style integration, launching a new feature called Travel Stories. The idea is that now guests visiting the site’s properties can create and upload videos in order to show off highlights from their adventures – falling in line with the platform’s aim to become a more socially-driven agency, rather than somewhere to just book a night’s accommodation. According to the FAQ section on the site, the aim of the stories are to feature 10 videos, each being 10 seconds long. The company includes tips like focusing on capturing the most interesting elements and shooting vertically, not horizontally, with the aim that you can then put all of these snippets together using the Travel Stories tool in the Airbnb app. It has been said that the format within the app means that it’s a bit harder to share them outside of that network, unlike other travel forums which allow people to share experiences in a more open way. We do however love the sound of this visual approach to swapping travel tips, and getting a behind the scenes view on different locations. 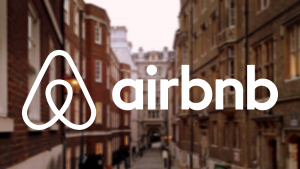 Travel Stories are currently available on iPhone with the latest version of the Airbnb app, with no word on when Android users will get to experience the tool. Find out more on The Verge. Could Google dodge £3.2 billion privacy lawsuit? Google is in hot water this week following an announcement that the search brand is being sued in the high court for as much as £3.2 billion. The move is due to alleged “clandestine tracking and collation” of personal information from 4.4 million iPhone users in the UK”. However, Wired has now reported that the ‘representative action’ lead by former Which? Director Richard Lloyd faces challenges in establishing the claim in court. This is the first case around data protection issues in the UK, and Google is trying to get the case thrown out during the preliminary hearings due to a lack of legal precedent. In a country facing constant reminders around data protection and GDPR over recent months, this situation has come around at a particularly interesting time. Orla Lynskey, assistant professor of law at the London School of Economics, says that this “is a sign of things to come in terms of data protection enforcement. Until now, data protection law has been largely under-enforced as individuals have not been sufficiently organised and regulators have not been sufficiently resourced to tackle the power of data giants”. One thing’s for sure – if the case goes forward it would be a landmark step in giving people the power to take massive companies on. Whether or not this is the time or case, remains to be seen. Check out more on the challenges at Wired. Should social media be age restricted? Following pressure from new GDPR regulations, companies like Whatsapp are planning to update the age restriction of their platform from over-13s to over-16s. 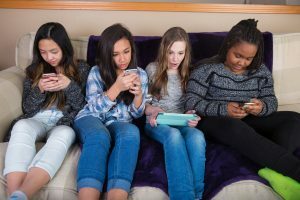 As a result of this, a discussion has arisen as to whether or not we should be restricting the access that children have to social media entirely. Matt Hancock, the Culture Secretary, suggested that Facebook and other social media sites should make it necessary for parents to confirm that their children are over the age of 13 before they are allowed to use the platforms. This comes amid reports that parents are “terrified of the internet”, with Duncan Stephenson from the Royal Society for Public Health charity suggesting that social media should be treated in the same way as the sale of tobacco and alcohol. Carolyn Bunting, from the Internet Matters group, highlighted the importance of education, and backed the use of more technology in encouraging a culture of safe and supported digital users. “ I think ultimately this is about educating our young people to behave online and that the environments that we have offline should be the same that we have online,” she explained. To learn more about this story, and to hear our views, check out our blog “Should We Be Protecting Children from Social Media?”, or read more at The Telegraph. GDPR Day is here! Are you ready? D Day is here. Oh, I mean GDPR Day. Today marks the General Data Protection Regulations coming into force, focused on regulating how companies gather, store and use data about people. 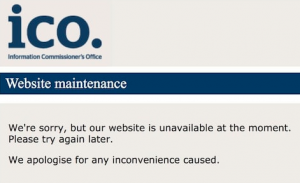 The demand for information was apparent this week, with the Information Commissioner’s Office website crashing for more than two hours yesterday due to the influx of businesses hunting for advice on data protection before the deadline. 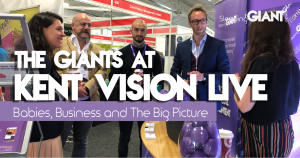 You’ve probably noticed the hurried attempts to get compliant thanks to the barrage of emails appearing in your inbox over the past few weeks, adopting everything from punchy subject lines and witty remarks to outright begging. Wonder which approach has proved most effective. 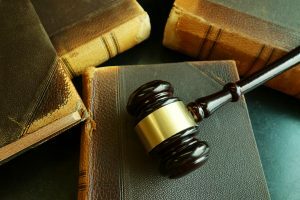 We previously reported that almost half of UK businesses were expecting to face fines, so it will be interesting to see how widespread these implications are felt. Still confused? Well, you better get reading quick! 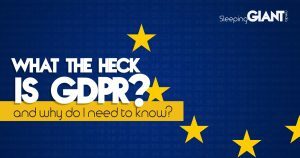 Head over to our blog for the lowdown on what GDPR actually is, and whether or not it’s a good thing. Spoiler alert – it is. Even if it doesn’t feel like it right this second. 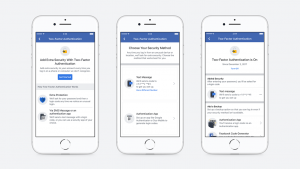 Facebook has recently announced that the platform is changing how two-factor authentication works, allowing users to use apps like Google Authenticator and Duo Security to verify access into their accounts – rather than relying on a phone number. Two factor authentication (2FA) is a safer method of logging into online profiles (in comparison to just using a password), and is available on a number of social media platforms – including Facebook and Twitter. Though this feature previously required people to enter a phone number, the new implementation will extend this to include the more secure authenticator apps. If you aren’t using 2FA already (and you absolutely should be! ), setting up the system is very straightforward. Simply head onto the ‘Settings’ section on your Facebook profile, click on ‘Security and Login’, and you will find the set up for two step authentication there. Authenticator apps are generally accepted to be a much safer alternative to relying on mobile phone numbers, so this is a good step forward when it comes to improving user security on the platform. Check out the full story on The Verge. Get yourself a well deserved post-GDPR beer, people. You’ve earned it.